Sweet Pea Natural Pet Foods was started in 2004 with the help of a yellow lab named Tino. Tino is our family’s first dog. He was an 8 week old puppy when he came to live with us along with a bag of Purina Puppy Chow. This small puppy was about to change our lives. After two weeks with us I noticed Tino began to scratch until he bled. As any good dog owner would do, I immediately brought him to our vet. There I was told that he probably had mites. After 3 skin scrapings and finding no sign of mites, I was sent home with a sulfur bath to give him daily for the next 3 days along with anti biotics. After one bath I called the breeder from whom we got the puppy to ask what I could do for this poor dog. He immediately told me the puppy probably did not have mites because none of the other puppies from the litter had mites. I then contacted a friend who has bred dogs for many years and told her our problem. The first question she asked: what was I feeding our new puppy? Purina Puppy Chow of course, that is what he came with. She told me to take him off that food immediately. Put him on a lamb and rice food, something more natural without all the corn gluten and by products. She told me he probably has a food allergy. I followed her advice, went to a local pet store and bought what was considered an all natural food. After just two days on a lamb and rice puppy food Tino stopped itching! But after a month or so, it started all over again. At this point I was very frustrated with the dog foods out there and I began to search for high quality pet foods. I researched every single ingredient in many dog foods and what they really were. I found that corn and grains were not the best diet to be feeding my dog. I read many books, articles, web sites, researching what really went into those pet foods. Not liking what I saw, I started to cook homemade food for my dog. Once again, he did much better with home cooked meals but it was very time consuming. After just two days on a lamb and rice puppy food Tino stopped itching! But after a month or so, it started all over again. 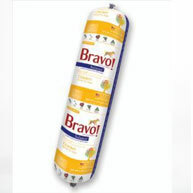 At this point I was very frustrated with the dog foods out there and I began to search for high quality pet foods. I researched every single ingredient in many dog foods and what they really were. I found that corn and grains were not the best diet to be feeding my dog. I read many books, articles, web sites, researching what really went into those pet foods. Not liking what I saw, I started to cook homemade food for my dog. Once again, he did much better with home cooked meals but it was very time consuming. During this time, my sister and I were in the planning stages of opening our own business. We wanted to open an all natural health food store in our town, specializing in natural and organic pet foods. 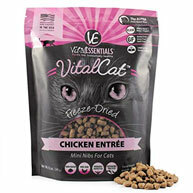 I was attending the SBA’s small business start up course at the University of Hartford when one of my classmates made the suggestion that maybe we should just stick with pet foods since that was our main focus. We decided that was a great idea. And since I could not find the top quality all natural dog foods my allergic lab needed, opening this store would be great for his health and many other animals suffering from allergies and other health problems related to low quality pet foods. And so Sweet Pea Natural Pet Foods was born. All because of one yellow lab named Tino who is now 13 yrs old and has been eating the all natural raw meat diets for over 10 years. Feeding an all natural diet probably saved this dog’s life. A healthy, happy dog is what we all strive for. Making the connection between diet and health was very important for my dog’s health and happiness. I have learned over the years that the old saying “You are what you eat” applies not only to people but to our pets as well. We just discovered Sweet Pea Natural Pet Food while transitioning our cats from a traditional to raw diet. 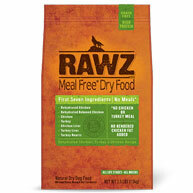 They have a great selection of frozen and freeze-dried raw food options for cats and dogs. 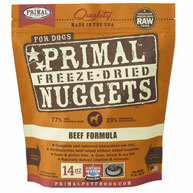 They also have canned food, pouches, and dry food with limited ingredients and very little additives or fillers. Their prices are reasonable and their staff have always been very helpful. Since our pets are our family members, we should ensure that we are feeding high quality, nutritious, and natural foods similar to we would eat and Sweet Pea makes it easy! Forget the big box and agricultural stores here is the place to get the best food, home made treats, and supplies for your dog. 🐾🐾 it’s personal service second to none! Beautiful and warm inside like stores should be, almost like a time capsule. If you you didn’t know you were in South Windsor you’d swear you were in a shop in Vermont! Outstanding store with the best food for our pets. I buy Legend there which is the best food we've ever fed our dogs. Toni is extremely knowledgeable regarding just about everything which concerns pet health and nutrition.